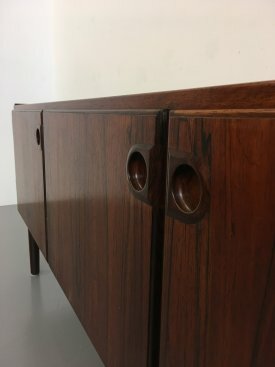 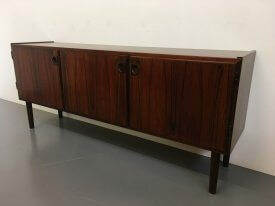 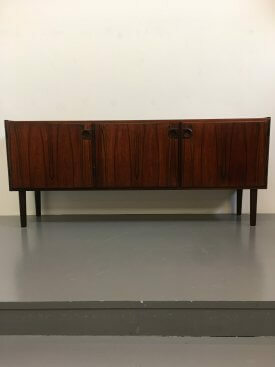 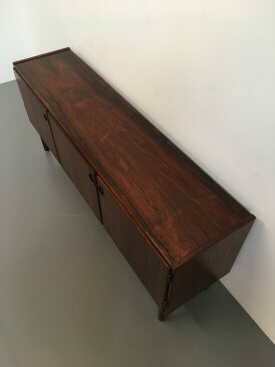 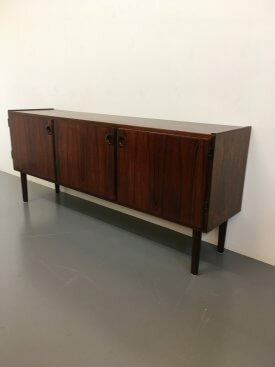 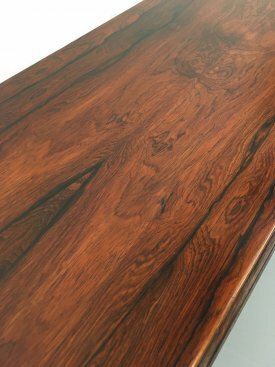 1970’s Danish rosewood narrow cabinet. 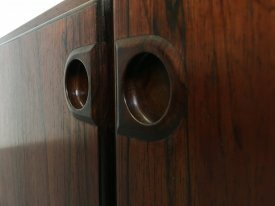 3 Doors with solid sculpted recess handles. 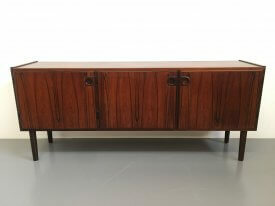 Very good restored condition with later solid turned, tapered legs. 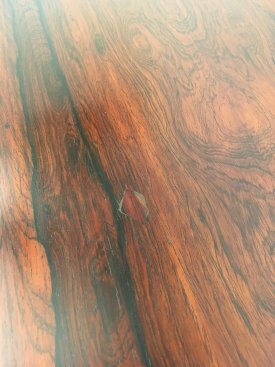 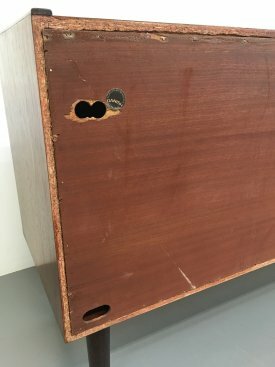 Cable holes to back and small historical veneer repair to top.